This is an example of Art Deco arches. You'll notice that the center arch is ever so slightly peaked. That's how the peak is established for on many period radios. You can also do a round peak, which will pass muster. 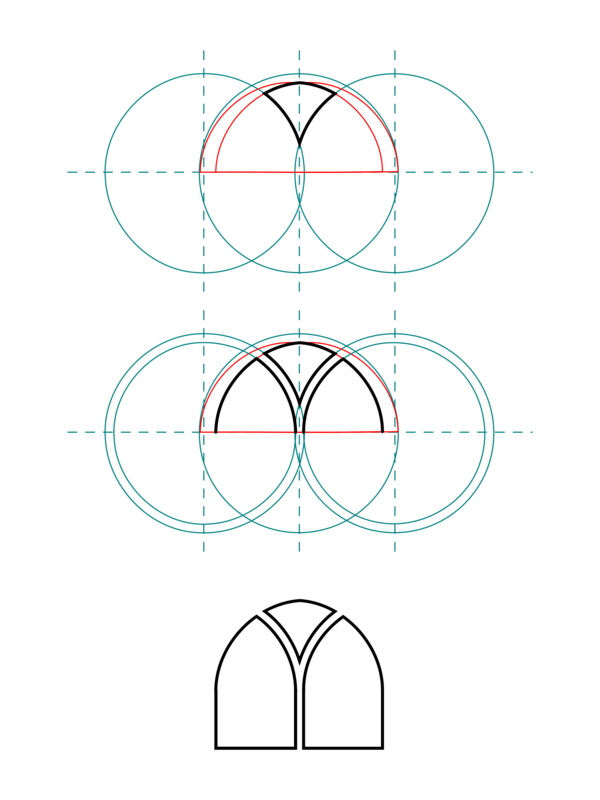 For a round peak you just draw one circle on the center line. 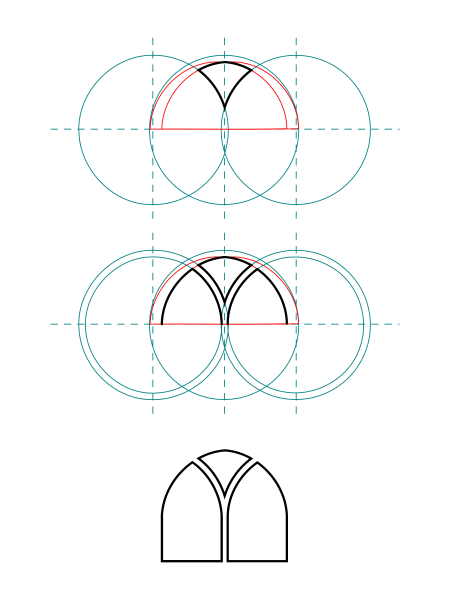 You keep the concentric side circles which are required to produce the even spacing.